Filled with images that awaken the senses, both the summer and winter ‘Come to Life’ campaigns for the Colorado Tourism Office resonated with visitors and created huge results. The campaign influenced more than $2.6 billion in economic impact for FY 2014, given the number of trips the advertising resulted in and the level of spending by those visitors. 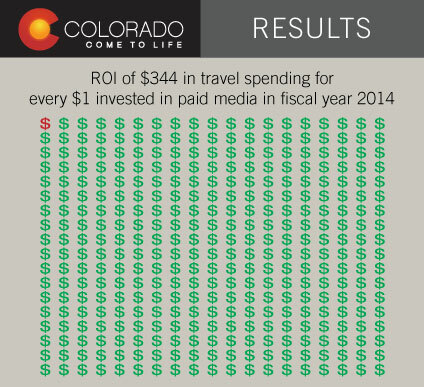 The campaign also resulted in an ROI of $344 in travel spending for every $1 invested in paid media. 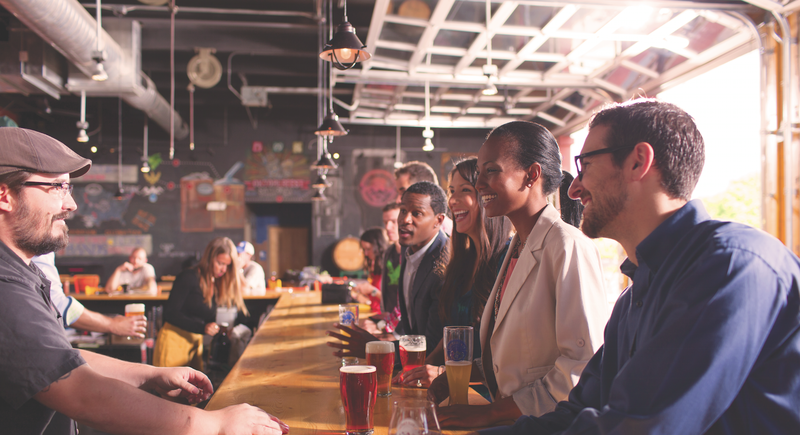 Last fall we shot photos at The Denver Beer Co to promote the city’s breweries scene as well as the city’s unique meeting spaces. Our 20-year client, VISIT DENVER, is also seeing great results. Denver saw a record 14 million overnight visitors in 2013, who spent an all-time high of nearly $4.1 billion. KH has built an unparalleled expertise in tourism and we are always searching for more opportunities to garner results for our great state.